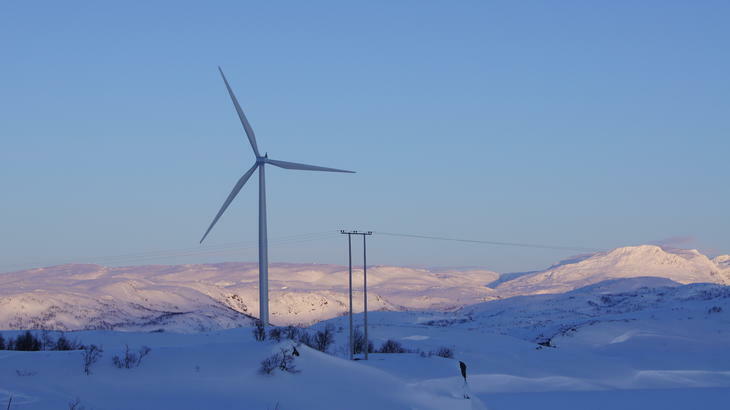 All electricity production in the Narvik area comes from renewable energy = low CO2 footprint. Within Nordkraft’s grid system there is a total of ~500 MW of renewable energy production and only a peak consumption of about 100 MW. 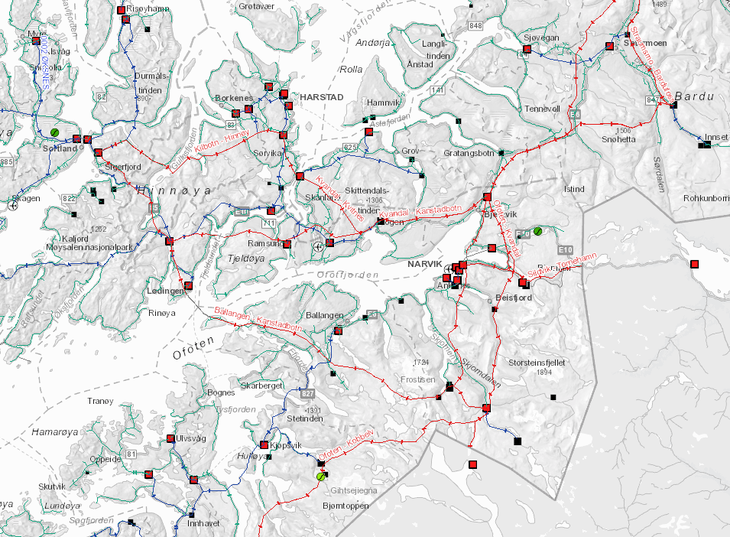 Both south and north of Narvik there is the same situation with a large amount of installed renewable energy production (hydro=black, wind=green) and limited consumption. In other words, a perfect place for new power intensive industries.